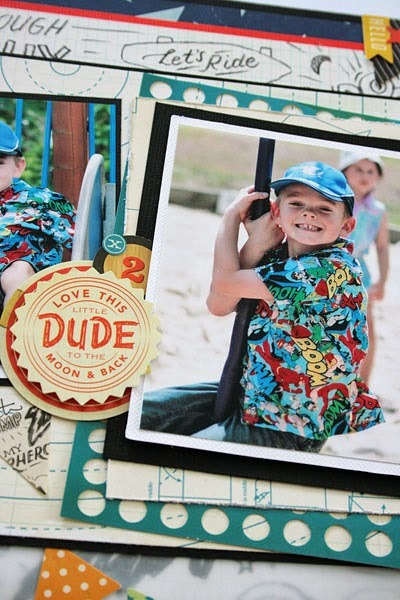 Very excited to have my layout featured on the Crate Paper blog today! The CP Girls came up with this challenge to celebrate their new Boys Rule collection. 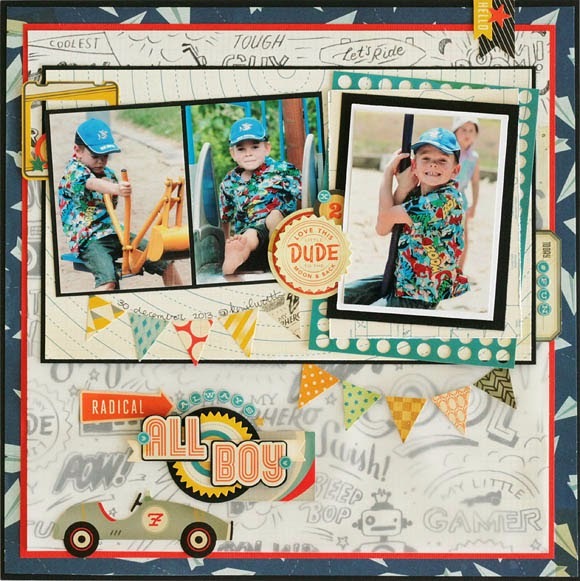 This is such a fun filled boys themed line with lots of bright colours and retro graphics. 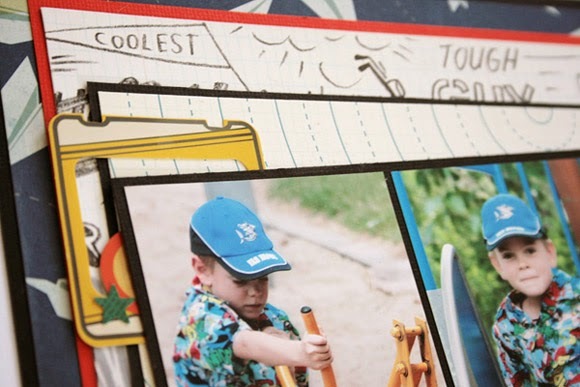 I've been working on a new kit for Daisy Chain Scrapbooks and it fit the challenge perfectly. This is my layout, and the kit is coming soon to Daisy Chain. I do tend to shy away from bright colours so this layout was a chance to push myself to go all out with colour. 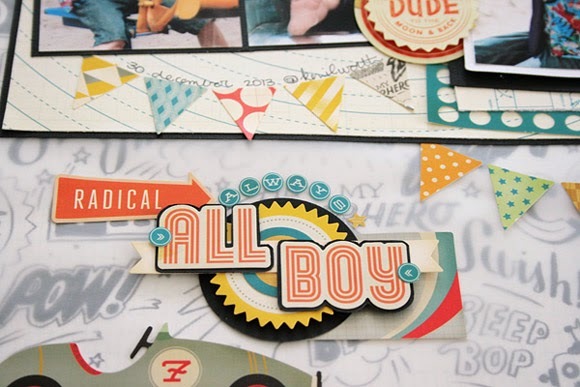 I instantly fell in love with the Attaboy patterned paper and wanted it to be a major part of the layout. So that it didn't overwhelm the embellishments I layered a sheet of vellum over the lower part of the paper to tone down the strong graphics. How cute are the tiny alphas!? My little nephew Josh scored this awesome superhero shirt from one of the Gold Coast theme parks while my sister and her family visited us over Christmas. He loved it so much that he practically lived in it while they were here! These photos of him in it are such a great match to this collection. 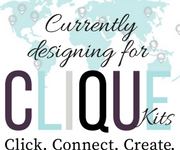 Let me know if you'd like to pre-order the kit at all, and I'll be sure to update my blog just as soon as they're in stock at Daisy Chain.